Search through all the on demand gig jobs in your area! Driving. Dog Walking. Delivering. Packing. Lifting. Moving. Cooking. 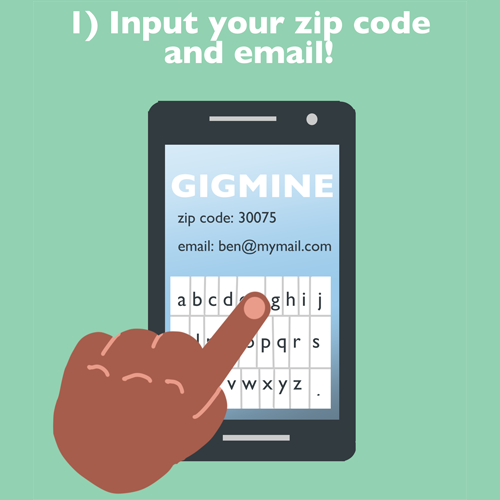 Input your Zip Code and Email! Let us know your location, your email address, and a little bit about yourself and what kinds of gigs you’re interested in pursuing. Let us find who’s got gigs for you in your area! Once we hear from you, we’ll start mining. 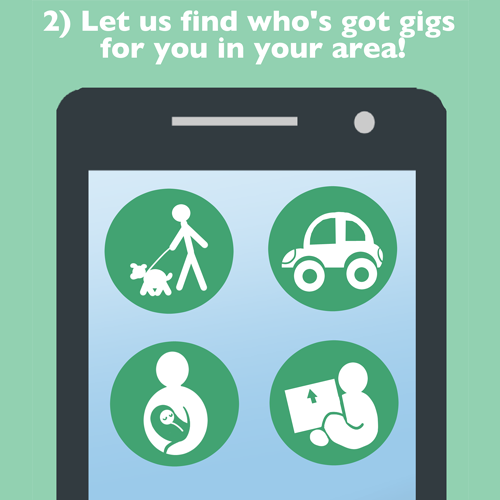 We’ll put together a list of gigs in your area based on your needs and interests and will provide you with the info you need to get started. Whether you’re a dog walker, a rideshare driver, a mover, or all three, GigMine wants to make it easier for you to find clients and profit. The sharing economy has opened the business ownership door to everyone. By bringing all those opportunities to one place, GigMine serves to further level the playing field. GigMine helps users find opportunities quickly so that they can start earning immediately.